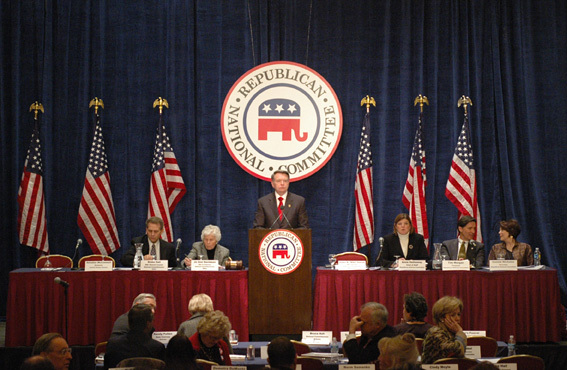 The Republican National Committee will hold its 2013 Winter Meeting in Charlotte early next year, the party confirmed Tuesday. Though details are still sketchy about the RNC’s agenda, its 168 members are scheduled to meet Jan. 23–26 at the Westin in uptown Charlotte. It’ll be the second big national political gathering in Charlotte since September, when the city hosted the much larger Democratic National Convention. In November, North Carolina returned to the Republican column in the presidential race, and elected its first GOP governor in 20 years in former Charlotte Mayor Pat McCrory. Read more by Tim Funk at the Observer. This is cool to see. Very interesting after we just had the DNC here. Nice to see Charlotte becoming a place for things like this.